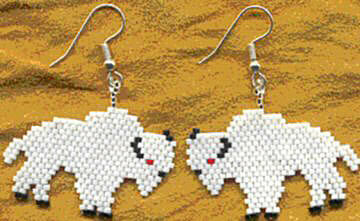 Engaging white buffalo earrings for you to stitch. Created by Alan GreyOwl, author of 6 seed bead pattern books. These are one of my favorite designs because of what the white buffalo means to the Cheyenne.